In 1942, the Allies were losing, Germany seemed unstoppable, and every able man in England was fighting. Believing that Britain was locked in an existential battle, Winston Churchill had already created a secret agency, the Special Operations Executive (SOE), whose spies were trained in everything from demolition to sharpshoot¬ing. Their job, he declared, was to “set Europe ablaze.” But with most men on the front lines, the SOE was forced to do something unprecedented: recruit women. Thirty-nine answered the call, leaving their lives and families to become saboteurs in France. 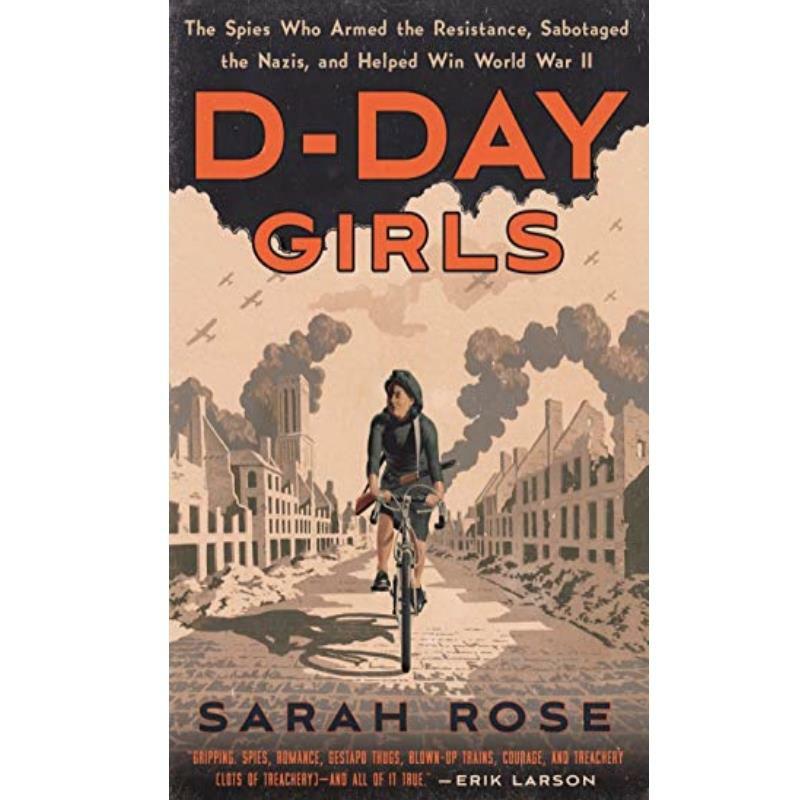 In D-Day Girls, Sarah Rose draws on recently de¬classified files, diaries, and oral histories to tell the thrilling story of three of these remarkable women. There’s Andrée Borrel, a scrappy and streetwise Parisian who blew up power lines with the Gestapo hot on her heels; Odette Sansom, an unhappily married suburban mother who saw the SOE as her ticket out of domestic life and into a meaningful adventure; and Lise de Baissac, a fiercely independent member of French colonial high society and the SOE’s unflap¬pable “queen.” Together, they destroyed train lines, ambushed Nazis, plotted prison breaks, and gathered crucial intelligence—laying the groundwork for the D-Day invasion that proved to be the turning point in the war. Rigorously researched and written with razor-sharp wit, D-Day Girls is an inspiring story for our own moment of resistance: a reminder of what courage—and the energy of politically animated women—can accomplish when the stakes seem incalculably high."